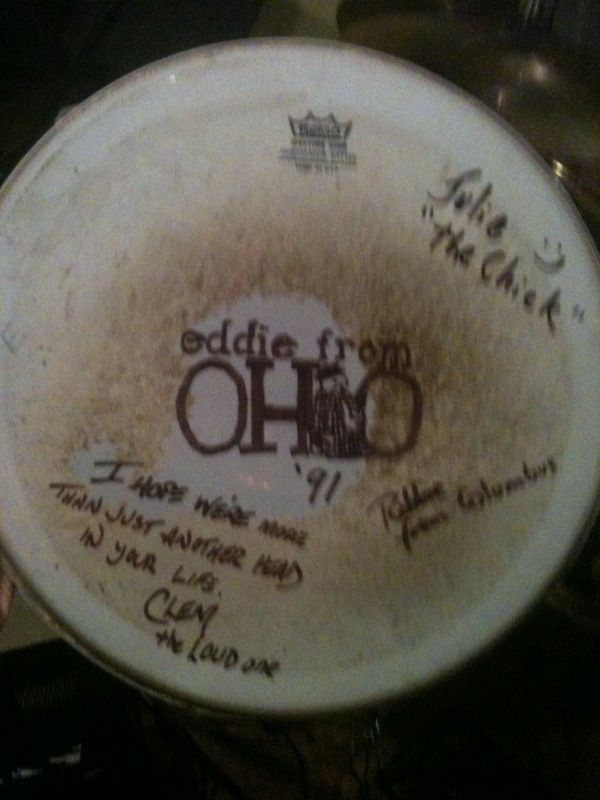 Taken on Mike's iPhone during pre-Wolf Trap 2010 rehearsal at Eddie's place: a used drumhead he had his three bandmates sign when the band was new in 1991 (not knowing how long the group would be together). There were no iPhones in 1991. There were payphones, however. Lots and lots of payphones. Kristin Sullivan (nee Allen) designed the great EFO logo.